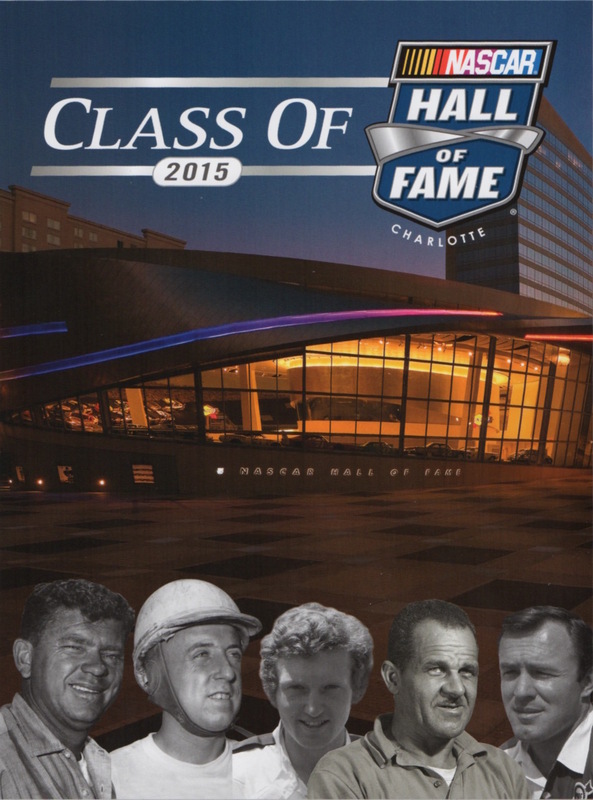 Anthem Motorsports has been selected by NASCAR to publish the 2015 NASCAR Hall of Fame Yearbook. The induction ceremony takes place Friday at the NASCAR Hall of Fame in Charlotte, North Carolina. The 2015 NASCAR Hall of Fame Yearbook highlights the class of 2015 and will be distributed as part of this year’s Induction Ceremony. The 148-page publication features in-depth coverage of each inductee — Bill Elliott, Fred Lorenzen, Wendell Scott, Joe Weatherly and Rex White — and how they influenced the sport and left their mark. The yearbook also contains content about other Hall of Fame honorees including the Squier-Hall Award for Media Excellence and the Landmark Award for Outstanding Contributions to NASCAR. In addition, details of new and popular exhibits inside the Hall of Fame, the happenings in and around Charlotte and more. Fans interested in purchasing a copy of the 2015 NASCAR Hall of Fame Yearbook can pick one up at the gift shop in the NASCAR Hall of Fame. In addition, race fans will have the opportunity to get their hands on this exclusive publication by visiting the Wiley X Eyewear / RYKY Products merchandise locations at NASCAR Sprint Cup Series races in 2015. Wiley X will be offering the Official 2015 NASCAR Hall of Fame Yearbook with purchase of sunglasses while supplies last. Anthem Motorsports, located in Daytona Beach, Florida, is a division of Kinetic Supply Company. Kinetic Supply Company, part of the Anthem Ventures portfolio of companies, has quickly emerged as a maverick in data-driven solutions and integrated media campaigns for leading companies.